9CH HD Network Video Recorder for up to 9 cameras. The Foscam FN3109H 9CH Network Video Recorder is designed for small and medium size video surveillance systems. Thanx to the easy set up and smart search function, you can connect up to 9CH Cameras in minutes. 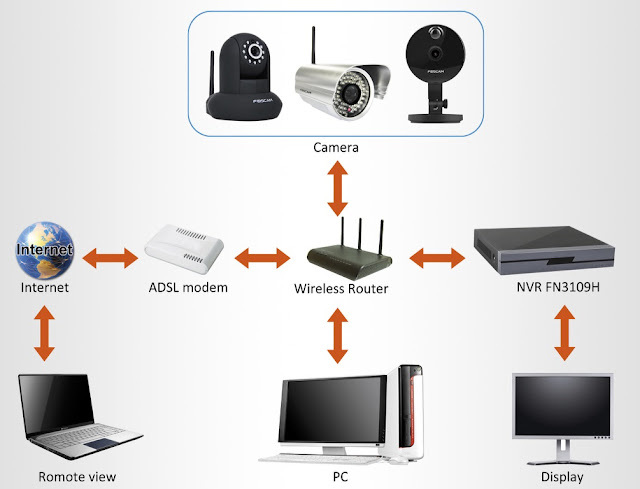 On the Foscam FN3109H Network Video Recorder you can add, configure and control up to 9 Foscam cameras from one device; no need to enter their web page and one by one setup. The Foscam FN3109H NVR has the power to play 4CH recordings at the same moment and thus saving you time. The Foscam FN3109H NVR supports a 3.5 inch hard disk up to 4TB. This means you can store up to half a month 4CH 30fps 1080P HD recordings on one 4TB hard disk. So you will not miss a valuable moments that will help you to identify any intruder. If you set recording in alarm mode, you can even extend the recording time.